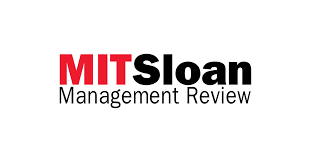 With this question in mind, in the midde August, I had a nice conversation with Gregory Unruh, MIT Sloan Management Review ’s Guest Editor for the Sustainability Big Ideas Initiative. In spite off I leave this function almost one year ago, I enjoyed so much to talk about this with Gregory. I recently caught up with Alberto Andreu Pinillos, global head of Organizational Development & Corporate Culture at the Spanish telecom giant Telefónica, a position he took in 2014. For 14 years prior, he was Telefónica’s director of Reputation and Corporate Responsibility and a pioneer in the business sustainability movement. He’s been called the “Dean of Spanish CSR” by the Diario Responsable. I wanted to know how Alberto saw the CSR director’s role — a question he says he gets often from his kids. “Ever since I started with this whole corporate responsibility thing,” says Alberto, “a lot of people have asked me: What do you do? What’s your job actually about?” His experience in responding to these questions allows Alberto to distill the job into three principal activities and responsibilities: foresight, nurturing, and evangelism. The director’s responsibility here is to identify ahead of time the social and environmental risks or opportunities that may not be relevant in the near term, but will be so in the medium to long term — and then place them in front of the appropriate organizational decision makers. The CSR manager, by engaging with key stakeholders in government, industry, civil society and international organizations, captures valuable information about emerging social and environmental issues. Alberto points to the Bangladesh textile factory collapse in 2013 that killed more than 1,000 workers and tripped up brand names like Benetton and Mango that were outsourcing to the contractors. Likewise, diversity has long been on the radar of CSR professionals and has recently been incorporated into the legal framework of national laws and European directives. Effective CSR directors have helped guide their human resources executives in addressing these concerns in advance of regulations. Thus, the CSR director acts as a “social radar,” detecting emerging issues, understanding their potential importance to the company and communicating any concerns in the language of the specific executives they need to influence. Just as there are incubators for startups, Alberto believes the CSR office need to act as an incubator for internal projects. This is because the CSR office usually doesn’t have the budget or manpower to implement needed changes alone. The office must work with other functional areas to bring about the needed improvements in social and environmental performance. In the long run, what is the purpose of a CSR office? To bring the company into a more sustainable mindset — to “spread the word” about sustainability, in other words. But there should also come a time when the word is thoroughly spread. As Alberto puts it, “The true test of a responsible company is when all functions and departments are capable of minimizing their own negative impacts and are thinking about making a positive impact on their community.” To be successful, in short, CSR directors should be putting themselves out of business; the perspective that the CSR office takes within the company would, ideally, become a fundamental mindset of all internal departments sooner or later.